Tokyo Japan, April 24, 2013, 11:16 am -- /EPR NETWORK/ -- Terra Motors decided the world's first mass production of Electric 3-wheelers which can be charged by AC power. 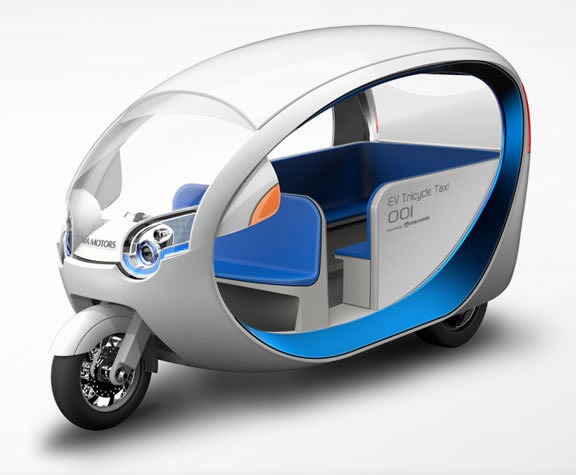 Terra Motors' prototype is completed this April, and they plan to produce 10,000 sets of electric 3-wheelers in 2013. It is thought that electric-ization of the three-wheel taxi in Asia progresses rapidly, because of aggravation of air pollution, the high price and constant shortage of gasoline. For example, in India, gasoline cost has increased also 2.5 times by these ten-years, so the demand to the cut in fuel consumption by electric-izing is serious. By replacing a three-wheel taxi to electric one, the annual income of taxi driver can be raised by about 3 times. They plan to establish branch office in India in this summer, and aim at world top share acquisition in 2014.